Baby shower gifts are always a lovely gesture. I want to start this blog post with that sentiment, because I mean it 100%. However, some gifts are more helpful than others. 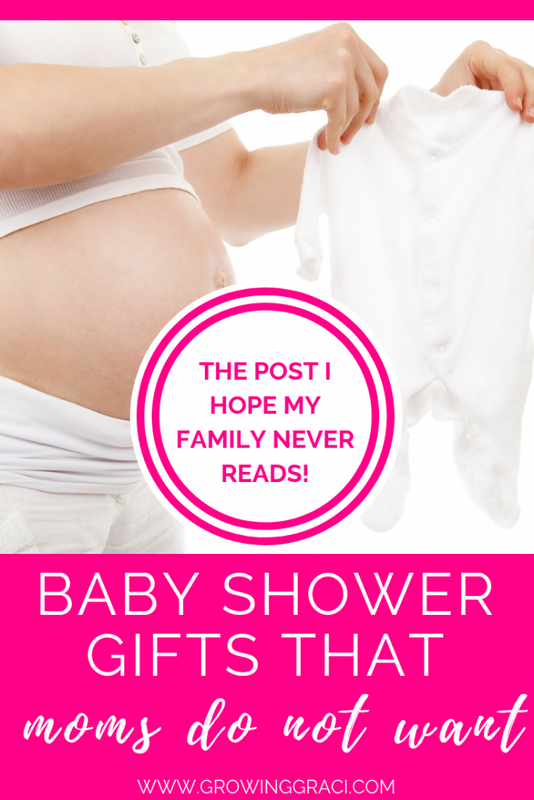 The purpose of this post is to highlight items that may seem like a good idea to give at a baby shower and explain why a different gift may be a more helpful choice. Many people think that it is fun to give mom and dad something for memory keeping. Some examples might be a baby book, a comparative calendar, or a mold for hands and feet. While these are definitely a thoughtful gift, they actually stressed us out. Well because between keeping a baby alive, taking care of the house, making food and taking care of ourselves, we also had to keep track of every single baby first, take a picture and glue it into a book. After failing multiple times to catch a photo of our baby’s first _____ and sometimes not even remembering when a first happened, we scrapped these gifts altogether. It just wasn’t worth the stress, and we definitely had about 239,480,923,840 pictures on our phone of our daughter commemorating her life already. Memory keeping activities are really personal and it might be best to let the mom and dad decide how they wish to memory keep. I feel like I need to reiterate here that all gifts are an incredibly lovely gesture. 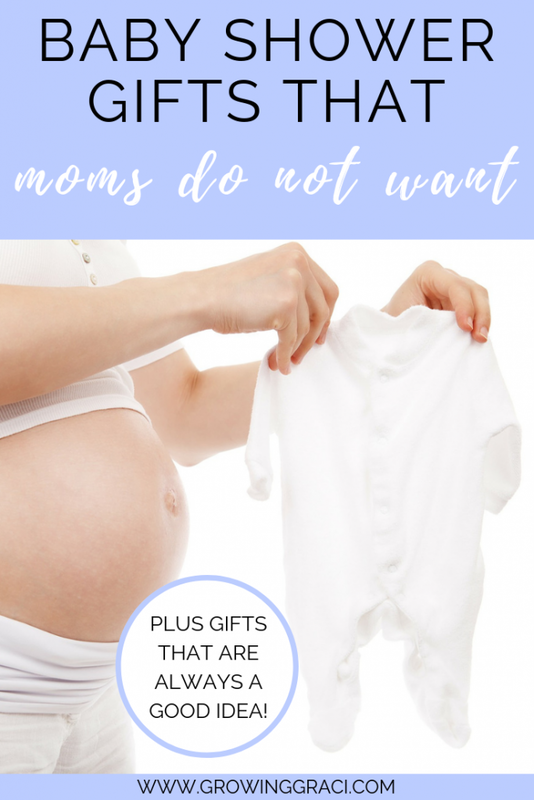 However, if you are going to purchase a baby gift, why not get them something that they have already decided that they needed off of their registry? Parents don’t just make baby registries because they are greedy, greedy people who want presents. 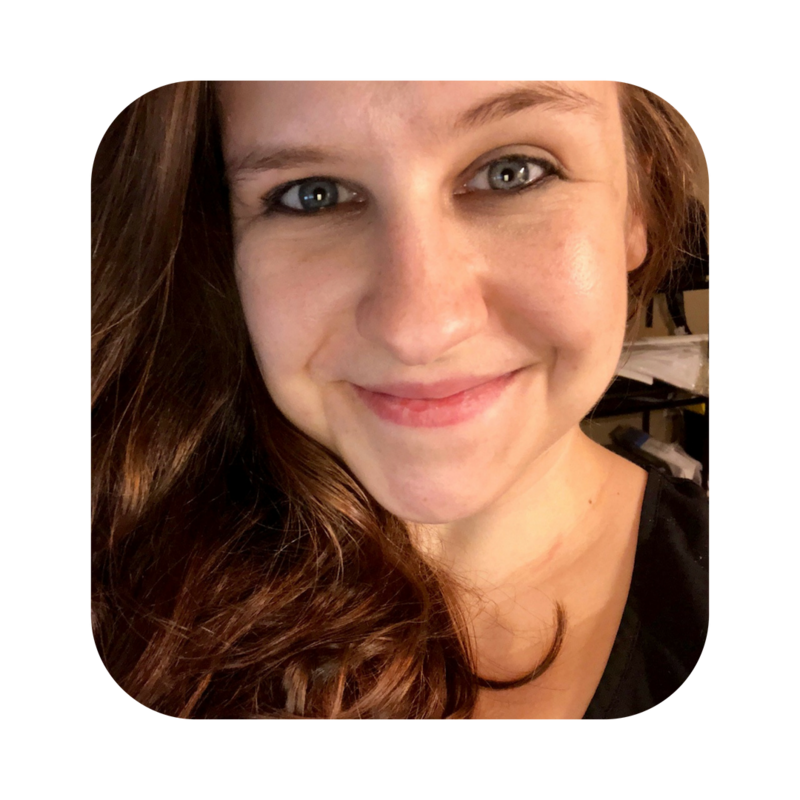 Often times, they are making their registry so that they know what they still need for their baby and have a methodical way of making sure they are prepared. So, if you are going to buy them a present, why not get them something that they have already picked out and painstakingly researched? We definitely noticed that people went rogue when buying us gifts for our daughter. Instead of buying the things that we really needed (and ended up buying after the baby shower anyway), they decided to get us items that they thought we needed. Believe me when I say that parents will be so appreciative if you follow their registry. I get it. Baby clothes are a ton of fun to shop for. But what isn’t a ton of fun is being a mom with a tiny baby and trying to put them in complicated outfits that have a ton of pieces and look cute but are probably uncomfortable. What moms really want for their babies (especially in the early days) aren’t complicated outfits. They want simple, comfortable pieces that are easy to put their baby in and are comfortable for them to wear. If you are shopping for a tiny baby and the outfit comes with more than two pieces, I’d pass. When a baby is tiny, the best clothes are onesies, sleepers and footy pajamas. Save the cute outfits for when they are bigger and are into dressing themselves. In the meantime, make it easier on mom (and dad)! Another thing to think about when shopping for baby clothes is whether or not it is easily washable. Babies can be absolutely disgusting and make a mess of themselves in record time. If you are buying them a fancy outfit that can’t be easily thrown into the washing machine, you might rethink that decision. Will The Baby Even Get A Chance To Wear It? One of the things that we noticed with our daughter is that everyone was so excited to buy her fancy or specialty outfits. The thing about buying special outfits (that are not suited for everyday wear) is that you never know how big a baby will be when they get the chance to wear it. That means that if you buy them a fancy dress, by the time they are able to wear it, it may not fit. Unless you know of a specific time that a little one will need a special outfit (and you’ve gotten the all-clear from mom and dad to pick something out), I’d steer clear. As I mentioned above, the ideal baby shower gift is something off of a registry. These are the items that mom and dad have decided they want for their child. They are also the items they will likely spend their cash on after all is said and done. This means that these gifts will likely be the most helpful to them as they prepare for baby. However, if you aren’t able to get something off of a registry, here are a few gifts ideas! I hope that this post was helpful! Like I said, all baby shower gifts are a lovely gesture. It is important to think about the new parents when picking out gifts. Let me know what you think in the comments below! I agree with everything except that blankets are a good gift. We received SO MANY BLANKETS…our baby was born in July, in Texas where our winters aren’t even cold. And, he hated being swaddled or even covered with anything. I have a huge box of blankets than have never been used and my baby is 2 years old. I would have rather liked size 2&3 diapers or guftcards. Otherwise, great tips! Hi Mary! Thanks for leaving a comment. We barely received any blankets as gifts when we were expecting and ended up purchasing some. Our baby was born at the end of June in Las Vegas, so while we barely used them to warm her up, we did use them for swaddling in our home and then later as she did tummy time on the floor, etc. Someone else commented about the blankets as well, so I’m thinking I may end up revising my advice! Thanks so much for leaving feedback, it means the world to me! I personally prefer not to get blankets… Maybe the special one my mother in law makes each kid, but we don’t have anywhere to keep ours. The only blankets I beg for, and like to receive are the muslin ones. They help as a nursing cover when I forget mine, they can swaddle baby, and they are not hot. Us here in AZ do not need a ton of blankets… Especially if we have had previous babies. Thank you so much for leaving a comment on this post! We barely received any blankets as gifts when we were expecting and ended up purchasing some. Our baby was born at the end of June in Las Vegas, so while we barely used them to warm her up, we did use them for swaddling in our home and then later as she did tummy time on the floor, etc. I agree with you on the muslin blankets, and loved those as well. I think that handmade blankets are always a wonderful gift because they hold special meaning, but someone else commented about the blankets as well, so I’m thinking I may end up revising my advice! Thanks so much for your comment! I really appreciate it!